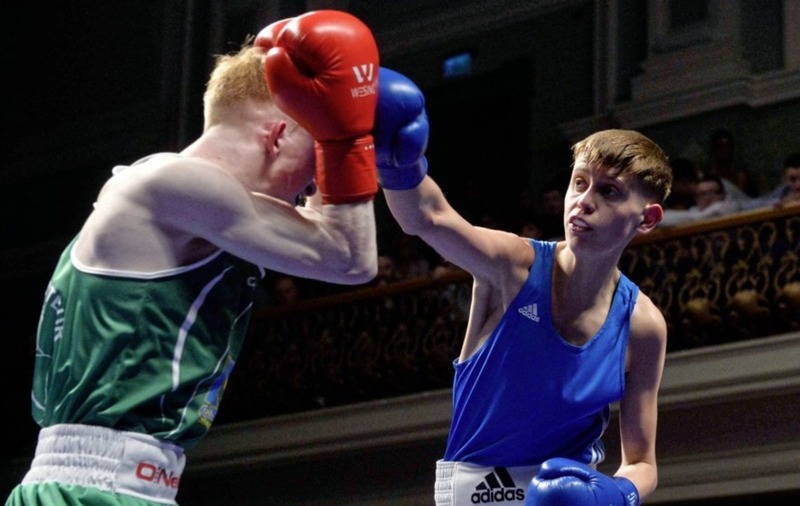 ULSTER light-fly king Jack O’Neill is hoping to continue his whirlwind start to 2019 by catching the eye on a big St Patrick’s weekend for Irish boxers in America. 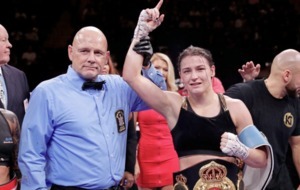 Katie Taylor and Jono Carroll are both in world title action in Philadelphia on Friday night, while Olympic medallists Michael Conlan and Paddy Barnes take centre stage at New York’s iconic Madison Square Garden on Saturday. 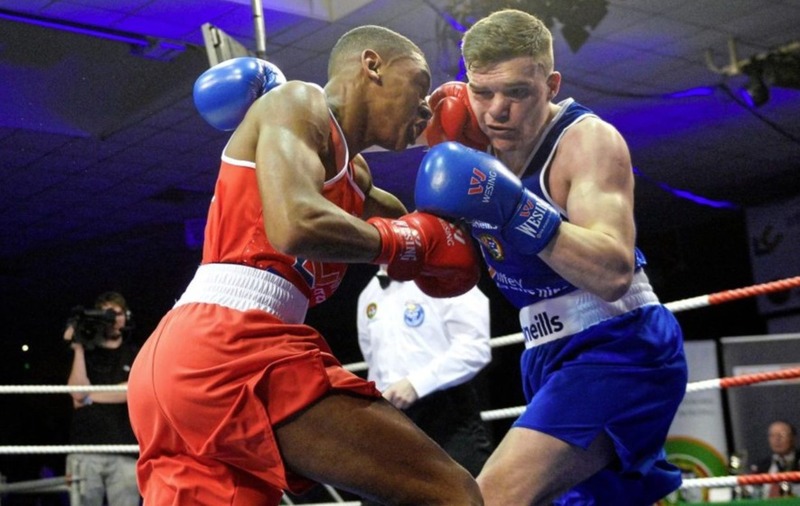 And following in the footsteps of those former amateur stars is the ambition for a high-class group of fighters from the Ulster High Performance unit who will also step between the ropes in the Big Apple on Friday night. 2016 Olympian Brendan Irvine and 2018 European Union gold medallist Kurt Walker head up a 10-strong squad that also includes recently crowned Irish champions James McGivern and Carly McNaul. O’Neill is one of four teenagers, alongside Star’s John Paul Hale, Holy Trinity Barry McReynolds and St John Bosco banger Paul McCullagh, making the trip Stateside for a crack at a New York select. The fight night is part of the Cops and Kids programme, founded by renowned trainer and commentator Teddy Atlas, and takes place at the Classic Car Club in Manhattan. For O’Neill, it is another chance to showcase his skills. 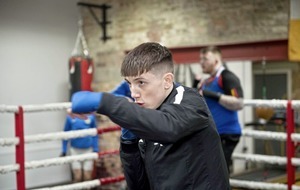 The 18-year-old only returned from a year out of the ring towards the end of 2018, but impressed en route to that provincial success, defeating Holy Family’s highly-rated Diarmuid Toland in a semi-final barnstormer before toppling Rory Baird at the Ulster Hall. 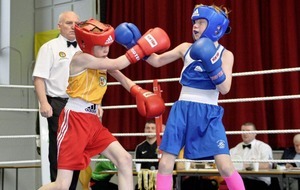 “I’m only back boxing there a load of months,” said the St Mary’s CBS student, who also reached the final of the Irish U22 Championships later in January. “I took a year out because the motivation wasn’t there, but then my daddy [Alex O'Neill] got asked to give a hand at Corpus Christi so I started training there. “That brought the motivation back and it’s just gone from there. This has probably been one of the best years I’ve had in boxing because everything’s just fallen into place. After attending the 2017 Ulster elite finals, the first back at the Ulster Hall in six years, O’Neill made it his business to ensure he was inside, rather than outside, the ropes next time he visited the historic venue. 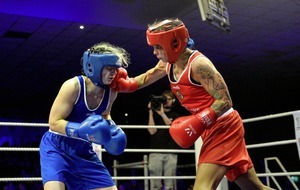 “I just remember thinking ‘I’d love to get the chance to box there one day’. It’s always a dream to get to fight in a place like that. “And everything’s sort of gone from there. I’ve been up training in Jordanstown since, the set-up there is unbelievable, and getting to go to New York will be the experience of a lifetime. THERE were mixed fortunes for two of Ireland’s top talents at the European U22 Championships in Russia yesterday. 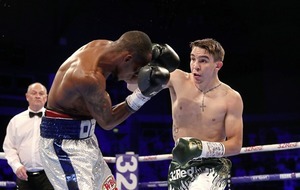 Irish male captain Gabriel Dossen turned on the style to book his ticket into the last eight in Vladikavkaz, but Limerick welter Paddy Donovan bowed out after losing on a unanimous decision to Russia’s Vakhid Abbasov. 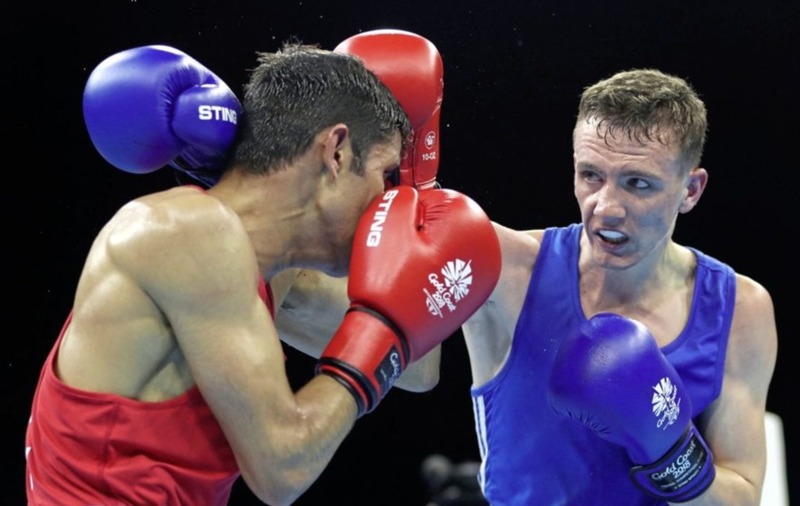 Galway southpaw Dossen (Olympic BC) earned a number of 10-8 scores against Romanian middleweight Florin Simion, the current Irish Elite champion establishing control of the bout early on and finding the target with a wide variety of head and body shots in a commanding performance. He meets Russia’s Aleksei Semykin in tomorrow’s quarter-final, with at least bronze up from grabs. The flamboyant Donovan, of the Our Lady of Lourdes club, was involved in a tight encounter with Abbasov. The durable and industrious Russian worked well when he cut down the distance but Donovan, who largely took the fight to his opponent, found the target with the majority of shots in all three rounds. Donovan received a public warning for hitting with the inside of the gloves in the first round and was docked a point, with the final scores reading 29-27, 30-26, 30-26, 30-26, 30-26 in the home fighter’s favourite. Irish female captain Aoife O’Rourke, 2018 European U22 champion Amy Broadhurst and Niamh Earley, who lost out to Belfast’s Carly McNaul in the Irish Elite final, are in quarter-final action today. O’Rourke meets Russia’s current Olympic Youth and World and European Youth champion Anastasiya Shamonova, Broadhurst faces Hungary’s Kiga Mezovari and Earley is up against Giovanna Marchese. Dossen is not the only Irishman in action tomorrow either, with Mayo flyweight Adam Hession facing Ukraine’s Rotyslav Bilototskyi (Ukraine). 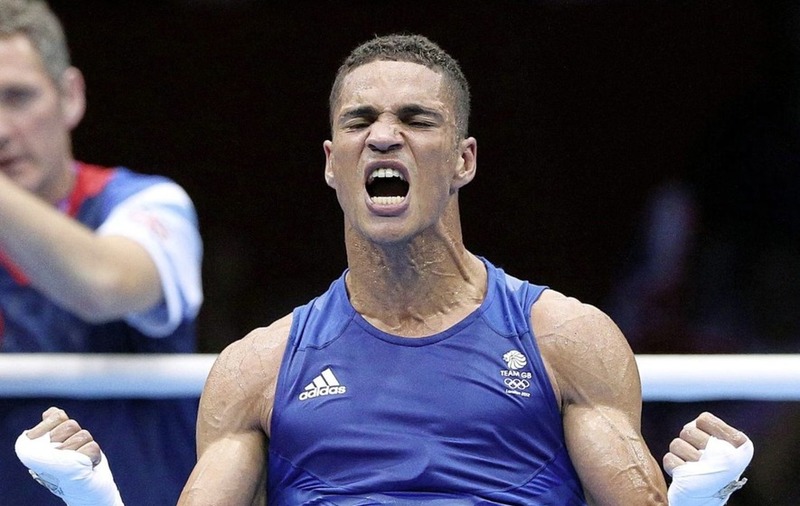 OLYMPIC bronze medallist Anthony Ogogo has announced his retirement from professional boxing. The 30-year-old, who claimed middleweight bronze at London 2012, had his last fight in October 2016 when he was beaten by Craig Cunningham, the only defeat of his 12-bout pro career. 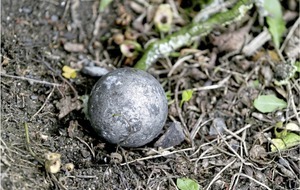 Ogogo sustained a fractured eye socket in the contest. In a lengthy statement on Twitter yesterday, Ogogo - who lost out to Ireland's Eamonn O'Kane at the 2010 Commonwealth Games -said: "Sadly, after seven operations on my eyes in two-and-a-half years, I am forced to admit that they are too damaged for me to safely return to the boxing ring. “With a heavy heart, I have to retire from professional boxing with my dreams unfulfilled. "I'm grateful that I've been blessed enough to do what I've loved to do for the last 18 years. I could be bitter at having my career cut down whilst I'm in the prime of my life. “A devastating succession of injuries prevented my professional career from taking off and now I'll never get the chance to realise my true potential and show the world what I truly had in the locker. Plagued with thoughts of what I could have been are enough to make a man bitter. "I choose to be better. I can be a better person learning from everything I've been through. It's inspired me to be more humble, thoughtful and an all round stronger person. “It's also made me realise I have the platform to encourage others fighting their own battles to keep going. This will not define me; this will be the making of me." Ogogo said he had been "injured for a combined period of six years and four months as a result of: three shoulder dislocations, shattered eye sockets, broken bones and damaged ligaments and tendons" and had undergone 17 operations overall. He added: "I'm walking away from this sport a healthy man. My eyes are damaged and I cannot box, but walking away now will mean that I will one day be able to read to my children. "I've been through a lot in my career. I've had 17 operations and suffered every pain imaginable. I've won, lost, cried and hurt. But if you were to ask me would I do it again? In a heartbeat. I love this game."